← We're No. 1! We're No. 1! 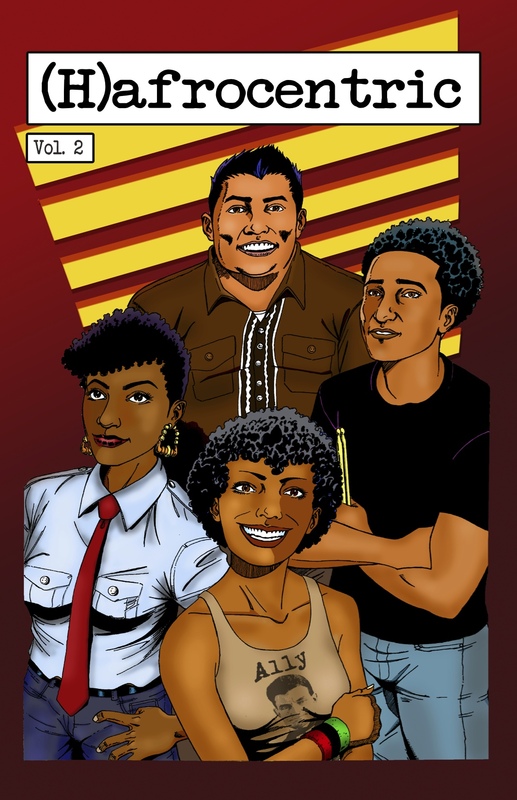 [Oakland, CA] (H)afrocentric: the Comic Vol. 2, set to be released April 10, 2012 presents a clear and funny narrative that connects the not always clear and not always funny outposts of comic books, politics and popular culture. Writer Juliana Smith has teamed up with illustrator Ronald R. Nelson to create a bright and visual bang of cultural commentary through characters that look like America. With the first series of (H)afrocentric featured in Occupy Comix as well as on Women’s Magazine Radio and Block Report Radio, (H)afrocentric aims to do something new in the world of comic books. In the comic’s second installment, it’s The Boondocks Huey Freeman meets X-Men’s Professor X as (H)afrocentric heroine Naima Pepper attempts to thwart the growing gentrification in her new neighborhood. Naima and friends, and her reluctant brother, decide to create MYDIASPORA.COM, the first and only anti-gentrification social networking site on earth. Through a series of fundraising events, they manage to lay the groundwork to support their idea, movement and website. But will their efforts be able to stop gentrification? A Comic Book lineage from Torchy to The Black Panther to (H)afrocentric. To book Smith as a guest speaker or for more information on (H)afrocentric: the Comic, please visit www.hafrocentric.com or email hafrocentric@gmail.com. This entry was posted in american history, cartoon, comics, magazine, news. Bookmark the permalink.